Obama aides have refused to rule out that the administration would seek a second economic recovery plan — even before Congress approves the first. President Barack Obama took to the airwaves to promote his economic aid plan backed by a new poll with high marks of approval. "Our economy could fall $1 trillion short of its full capacity, which translates into more than $12,000 in lost income for a family of four. And we could lose a generation of potential, as more young Americans are forced to forgo college dreams or the chance to train for the jobs of the future," Obama said Saturday in a five-minute address. "In short, if we do not act boldly and swiftly, a bad situation could become dramatically worse." President Barack Obama's rockstar vibe and the enthusiasm of citizen fans has brought forth a slew of souvenirs. Obama aides have refused to rule out that the administration would seek a second economic recovery plan — even before Congress approves the first — to patch an ailing economy. Some are considering a sequel to assuage members of their own Democratic Party who fret that too little of the money is going toward public works projects that would employ their constituents. Still, the Gallup Organization on Saturday said 68 percent of Americans approve of Obama's performance in his first days in office. That's a number near the high end for new presidents, but short of President John F. Kennedy's 72 percent in 1961. Along with the speech, Obama's economic team released a report designed to outline tangible benefits of the plan and shore up support. Aides said they wanted people to understand exactly what they could expect if Congress supported the proposed legislation. President Obama made his first weekly address Saturday since entering the White House, and discussed his plans for the speedy implementation of an economic recovery and stimulus plan. "This is not just a short-term program to boost employment," he said. "It's one that will invest in our most important priorities like energy and education; health care and a new infrastructure that are necessary to keep us strong and competitive in the 21st century." The United States lost 2.6 million jobs last year, the most in any single year since World War II. Manufacturing is at a 28-year low and even Obama's economists say unemployment could top 10 percent before the recession ends. One in 10 homeowners is at risk of foreclosure and the dollar continues its slide in value. On Friday, 1st Centennial Bank of Redlands, California, became the third U.S. bank to fail this year. The president and his top economic advisers met at the White House on Saturday to discuss economic issues. The two-hour session focused the proposed $825 billion economic stimulus package that Congress is considering. The group also discussed the upcoming federal budget, Obama's first chance to shape the country's spending amid a recession that lost 2.6 million jobs last year, the most in a single year since World War II. A day earlier, Obama invited Democratic and Republican leaders to the White House to hear their ideas on the economy. "We presented President Obama with our ideas to jump start the economy through fast-acting tax relief — not slow-moving government spending programs," House Republican leader John Boehner of Ohio said in the weekly Republican address. "We let families, entrepreneurs, small businesses, and the self-employed keep more of what they earn to encourage investment and create millions of new private-sector jobs." Boehner said the Republicans would cut taxes for every taxpayer, dropping even the lowest income tax rates. "That's up to an extra $3,200 per family every year — money that can be saved, spent or invested in any way you see fit," Boehner said. He also proposed a tax credit for home purchases, an end of taxation of unemployment benefits and tax incentives for small businesses to invest in new equipment and hire new employees. "We cannot borrow and spend our way back to prosperity," Boehner said. 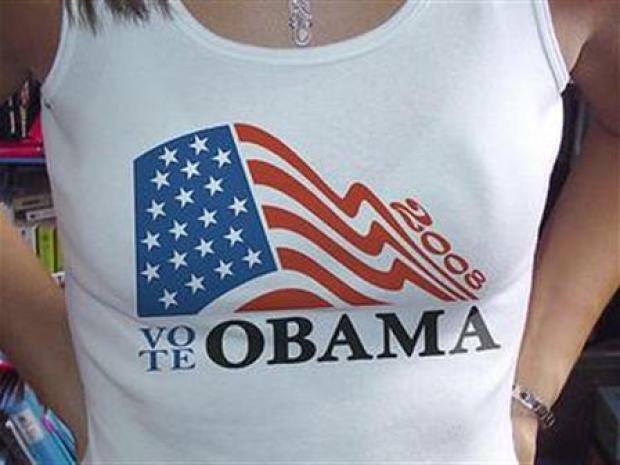 Obama currently enjoys wide public support. The Gallup Organization on Saturday said 68 percent of Americans approve of Obama's performance in his first days in office. 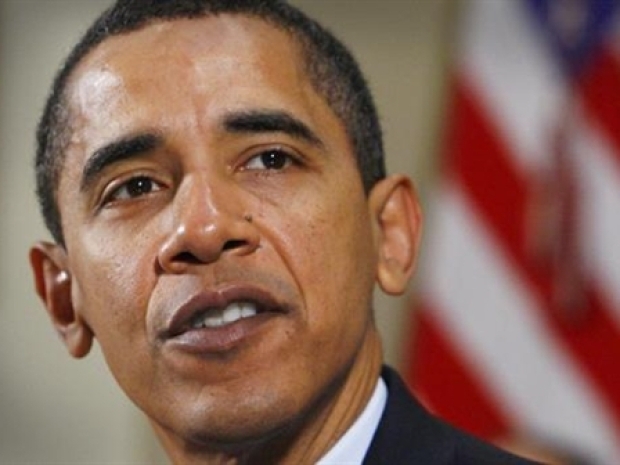 Gallup's poll found that 12 percent in the survey disapprove of Obama's job performance. That number is typical of all presidents. The telephone interviews of 1,591 adults were conducted Wednesday to Friday. The margin of sampling error is plus or minus 3 percentage points. Obama plans to travel to Capitol Hill on Tuesday to meet with Republican leaders, his latest move to pass an economic package that has some Republican support. On Sunday, Vice President Joe Biden and economic adviser Larry Summers were to appear on the morning talk shows, as was Boehner. Many of the goals in the speech and report were familiar from Obama's two-year campaign, such as shifting to electronic medical records and investing in preventive health care. There is heavy emphasis on public works projects, which have lagged as state budgets contracted. Obama's plan would also provide health care coverage for 8.5 million people who lose their insurance when they either lose or shift jobs. "It's a plan that will save or create 3 to 4 million jobs over the next few years" and recognizes "there are millions of Americans trying to find work even as, all around the country, there's so much work to be done," he said. But Obama cautioned again against expecting instant results: "No one policy or program will solve the challenges we face right now, nor will this crisis recede in a short period of time."